And, folks? I hope that you have read and enjoyed the first post about Raw Denim and Selvedge Denim. In it, I talked in general terms, a little more on the jeans raw and the detail of the selvedge on the jeans. These are the details more visible jeans, “special”, but there are other features that make a lot of difference in the look of your pants, the new, and especially, after it has been used. The following, I’ll talk about some of these details, you should pay attention at the time of buying their pair of jeans made with denim raw! The biggest difference between a good denim is raw, and a denim bad is how and with what it was dyed. All the jeans do not fade the same. Some raw denim or at least fade with the contrast of use that we want to get. The manufacturing of the denim depends on the dyeing process of the yarns intended for the warp, since the warp is usually white (but not necessarily). These threads are usually dyed blue, or better, indigo. The Indigo is one of the dyes of plants, the oldest that exist. The blue derived from the plant Indigofera, with time, has been replaced by options synthetic. 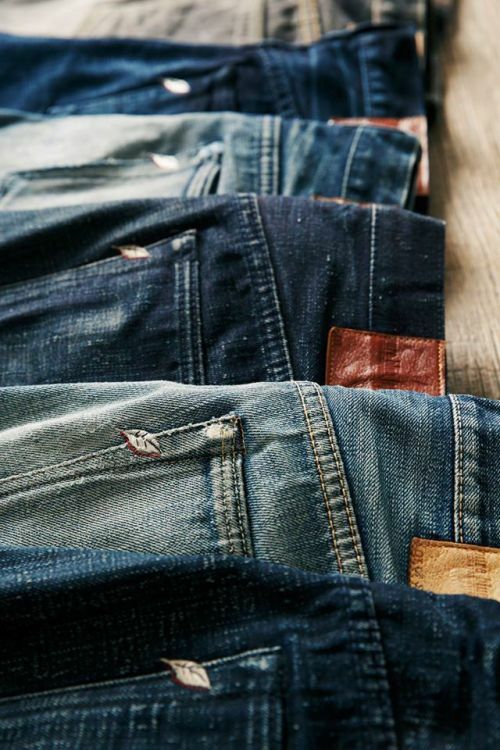 Some brands still use the natural indigo, a dye, one that takes months to prepare. Compared to the synthetic creates a color that is richer, deeper, and more fascinating. The indigo is not the type of dye most suitable for the cotton. You need to repeat several times the dyeing by the process of immersion and oxidation to obtain an intense blue on the fibers. The more dark the blue of the jeans, the more times it is necessary to repeat the process. Some of the jeans the more expensive they are dyed manually (hank dye), but most of the best is dyed by machines in rope (rope dye). The dyed rope consists in the power of a set of cables produced in urdimento, which can contain from 300 to 450 warp yarns. These cables are arranged evenly in the machine of dyeing. After the dye are separated and assembled on rollers of the warp. Simplifying all of this, are a lot of wires grouped in strings that are dipped multiple times in indigo. As the cotton does not receive well the dye he ends up not penetrating to the core of the fiber. Think that the blue wire of the denim is actually a white wire with several layers of blue ink over the top. It is as if it were an electrical wire with a plastic cover. To the extent that the tissue will be wearing the most layers of clear of blue and the white behind it all begin to appear more. The way the yarn is dyed and the chemistry involved will dictate if it fades, and with what speed. Here in our case, like that stain. If you like boots and raw denim, you’ve probably heard this word. You recognize a jeans made with selvedge denim by the colored lines at the edge of the fabric along the seam on the outside of the leg. 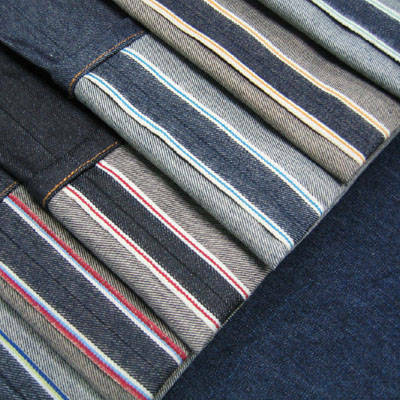 Selvedge is the edge-self-finished of a fabric made on a loom shuttle. 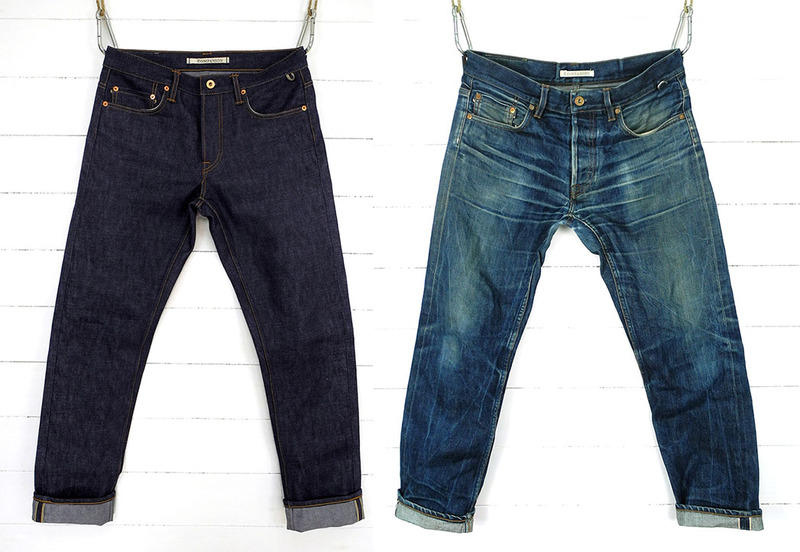 It is important to remember that selvedge denim is not the same as raw denim. Raw, or crude, refers to the lack of washing, and selvedge refers to as the cloth was woven. The denim is a fabric background. In the tissues plans the layer longitudinal is called “warp” and the cross of a “plot”. The loom holds the threads of the warp in place while the wires of the weft are interlaced between them. The difference between the fabrics selvedge and non-selvedge is the method for interlacing the yarn. The selvedge denim is made on a loom shuttle. In this insertion system, the weft is driven from one side to the other, through the shuttle which is a device of sturdy wood where they accommodate the wires of the weft. This leaves a continuous yarn in all the edges and the fabric closes, without loose wires on the ends. The majority of the looms of shuttle-less makes tissues with about 92 cm wide. It is the perfect size to leave the seam along the seam on the outside leg of the pants. Positioning beautiful and it saves the use of the machine from overlock to finish the edge of the fabric to ensure that it will not hold back. These machines, when properly used makes the fabric of higher quality that lasts a lot longer. After the Second World War, the demand for denim increased much, and the factories have adopted new technologies of mass production. The looms of the projectile began to be produced by the swiss company Sulzer in the 50’s. The insertion of the plot occurs on only one side of the machine (left side). After each insertion, the wires of the weft are cut, and the ends of the fabric looks slightly shredded. A loom shuttle-less puts about 150 yarns of the weft per minute in a fabric-92 cm width. Um tear de projétil, pode colocar mais de 1000 fios de trama por minuto em um tecido que é duas vezes mais largo, produzindo quase 15 vezes mais denim no mesmo espaço de tempo. More detail of the raw denim that is as well technical. The ligament is the way in which the wires that make up a fabric, the warp and the weft are interwoven, in the case of denim, twill. The ligament twill is a structure or pattern of weaving that has repetition of at least three warp yarns and weft, and is distinguished by its diagonal is well-defined. Can this diagonal will be on the right (incline) or the left (the slope). The direction of the wires has a key role in the softness of the denim and also impacts on the wear and tear over time. 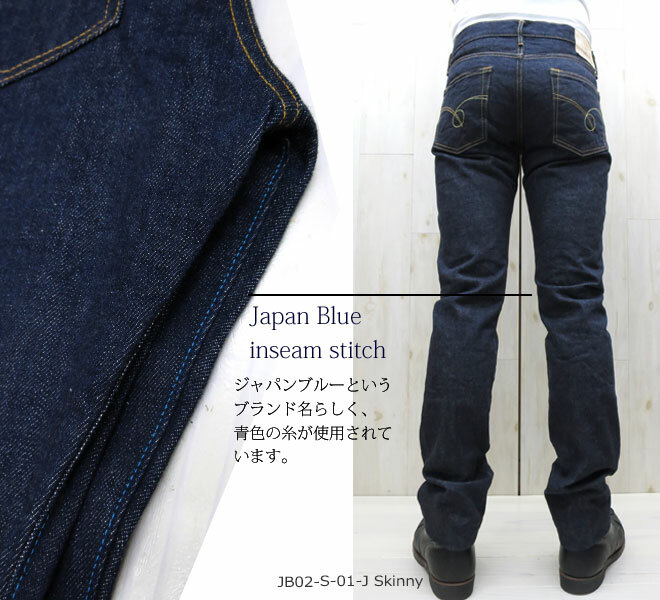 Right hand twill is the jeans more common. The diagonal goes from left to right. The surface is more smooth, and the fabric is as well compact. The wire is rotated in a counterclockwise direction, and the wear and tear with the loss of indigo is well-defined. Left hand twill starts from the right and rises to the left. The denim is very soft and the wear vertical is greater. The sanforização is a mechanical process that removes the tension of the wires. Before the process was invented, the clothing of cotton diminished greatly after the first wash. 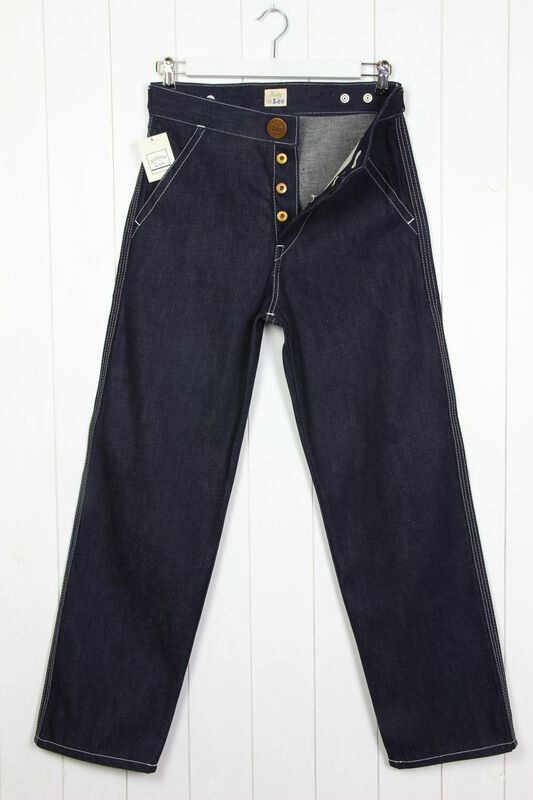 The denim sanforizado is the most used today, both in the pants raw as in with the wash, because it is easier for the client to adjust the size. However, the purists prefer not sanforizado. When you buy a pair of unsanforized (not sanforizada) you should choose one or two numbers above the who wears. The pants will shrink when you let it soak or wash for the first time (the first contact with water). The movie Pitbull has a scene the genius of the protagonist walking around the house with jeans wet to the pants to dry and shrink just right on his body. The most recommended is to do so… let the pants soak in warm water before using for the first time. The sanforização removes the tension in the direction of the warp of the fabric, or is, in the length. That is why when you wash the jeans not sanforizado it shrinks more in length than in width. 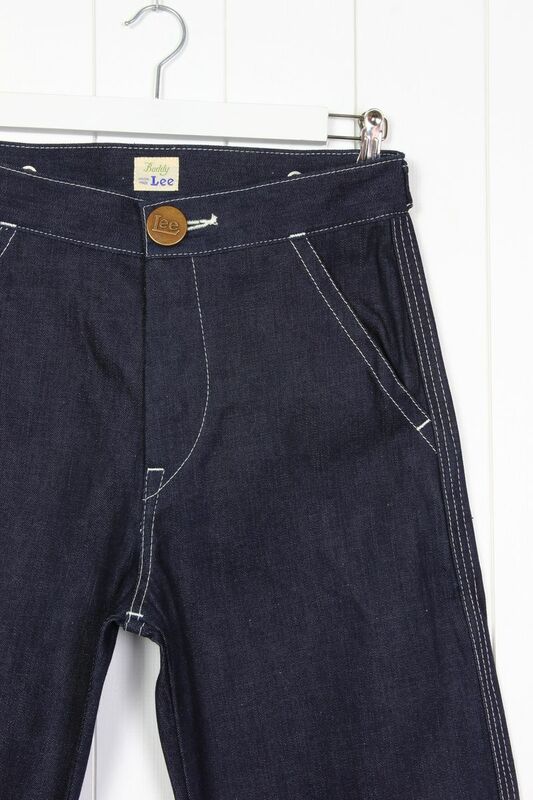 As the process decreases the length holding the width, the weight per square meter of the fabric increases after you wash. A denim of 11 ounces turns a denim 12 ounces after of the sauce, and more or less so. They say that the jeans do not sanforizado moulds better to the body. After you shrink with the first wash the threads lose their tension in a different way sanforizado. The tissue behaves in a more personal way, according to the owner. That is, the advantages of customization that enchant the whole world of raw denim are easier to get in the jeans that is not sanforizado. It is a matter of personal preference. The contrast and wear jeans not sanforizado can be more interesting, blue can be more intense, and has the ritual that so many people did in the past before you start to use a pair of pants, at the time that the jeans won fame and the symbolism that it has today. This is a feature that most people will not notice. However, “slubbiness” of denim is one of the most interesting aspects of a pair of jeans and has an important role in how the pants will fade. “Slub” is a slight twist in the preparation for wiring. The fabric has a jagged appearance caused by uneven thickness of the warp. In denim, is when the manufacturer accidentally or intentionally causes irregularities in the yarn, with knots, twists, or using different lengths of fiber. Some plants adjust their looms with low levels of stress. The machines literally shake while they weave the denim, leaving the tissue even more uneven and textured. The jeans with a lot of “slubiness” has the texture uneven. Can be more soft or more rough depending on the cotton. The difference in the thickness of the wire also brings fading differential. The “fades” are more vertical along the fabric. This variation happens because the dye indigo tends to fade at different speeds in each variation of thickness. Have you ever seen a pair of jeans that seems to have a plush white on top of the fabric? When a jeans have very nep he is neppy. 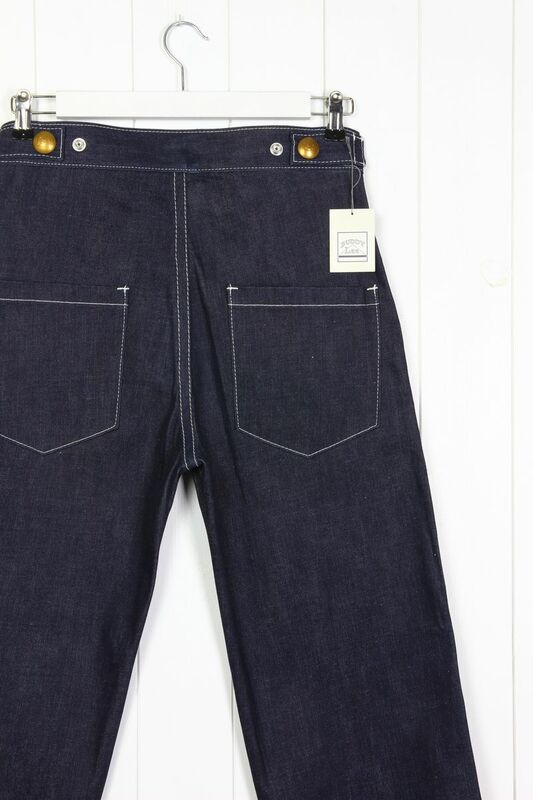 This means that the denim was woven in a way that some of the fibres of cotton are above the surface. The texture in this type of denim is quite noticeable on the fabric surface. With time these fibers become even more apparent. The whole description of jeans that is worth its salt will inform you the weight of the pants, usually in ounces. This weight means as it weighs in at a square yard of fabric. Lightweight Denim is anything below 12 ounces. In addition to more light, it is also more soft, but tends to fade with less aggressiveness. I consider average weight up to 16 ounces. My favorites are in the range of 14.5/15 oz. They start out hard but don’t take too long to soften up. Hold to the format of the body, and after use become more beautiful, with more pronounced contrast than the jeans lighter. Anything above 16 oz is heavy weight. Jeans made with denim so are as well more hard. The pant until it is standing with no one in it. Are super durable and usually have wear and tear well-differentiated that the friction is greater. The cutting, or cut, is the modeling of the pants, which determines the measures, and how she will dress. The majority of the shops have tables as well complete. If you do not find in the store, try on the website of the brand itself. If you still can’t, keep looking in Google for the name of the model that any shop will have the measures. If this also is unsuccessful, do not be ashamed to send an e-mail. Compare these measurements with a pair of pants that you have. Remember that the pants do not sanforizadas shrink enough, and the sanforizadas tend to relax a little bit in the thigh and at the waist. Pants straight. Width of the mouth is usually between 8 and 9 inches. Waist height average. Modeling more fair. Is usually the lower waist. A mix of Straight with the Slim. The pants have the top wider and is more just from the knee down. Ideal for those who want a modeling slim but has the thigh thick. Modeling wide. Longer waist high. Is cool with cuffs (bending in the bar) large and heavy boots. 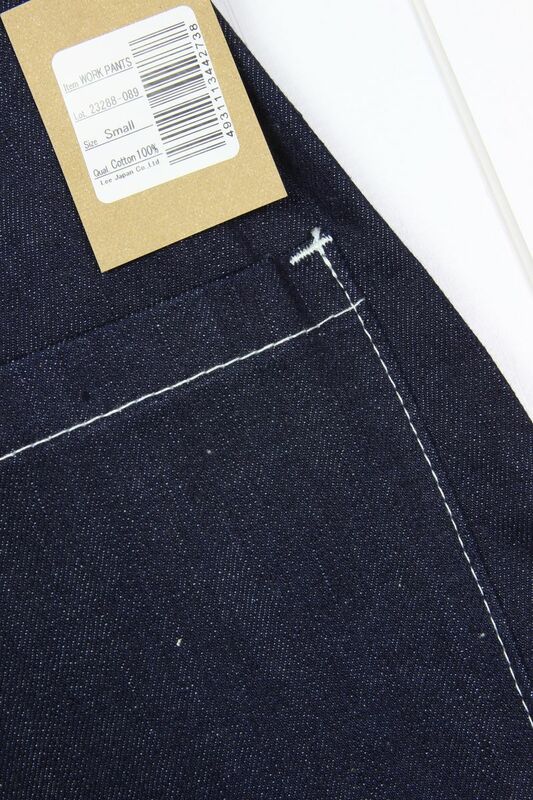 This cut that has appeared much on the brands of raw denim, with some names different. It is basically a taper, but with the waist high, almost that of a relaxed. My favorite. Likes to know the details of these jeans special? Dips head in this universe, starting with 11 brands of jeans that you need to know and the best shops to buy jeans online!